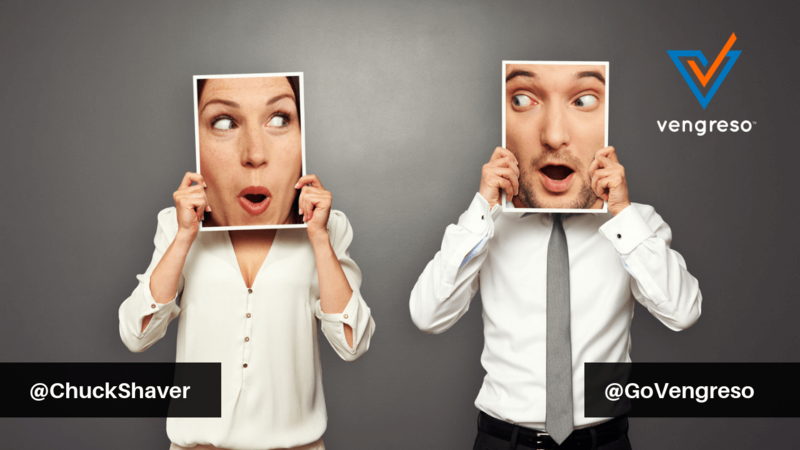 Many aspects of sales relationships are beneficial, but nothing builds trust and connection quite like a face to face interaction. Britta Schellenberg serves as Vice President of Corporate Marketing Operations at Brightcove. Britta is a seasoned marketer who delivers results through creative thoughts, ideas, and strategies and she knows how to create an engaging customer conference that drives customer retention and prospect conversions. You might say “face to face” experiences are her specialty. In this conversation, Britta and Bernie discuss how the use of online video can create incredible demand for live events, and how she’s been able to do so for the annual Brightcove event called Play. Whether or not you have responsibility for event planning, you’ll pick up ideas and insights about using online video in your digital strategy from what Britta has to share on this episode. When video first became available through the Internet it was cumbersome. It had to be downloaded and watched locally (on individual devices) and took a long time to do so. But technology has advanced significantly and now online video can stream easily – so it’s everywhere. Not only have tech advances made video easier to consume, it’s also much easier to produce. There is virtually no cost to producing basic videos. Brands who are willing to experiment and learn can produce video easily. 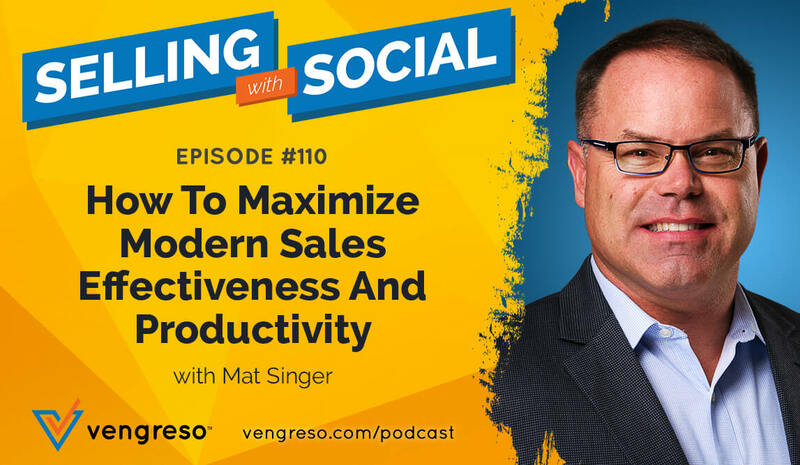 When your brand takes that bold step, social selling takes on a whole new level of effectiveness. Your customers are able to see, hear, and get a feel for your brand representatives, developing the “know, like, trust” factor with them and your brand like never before. 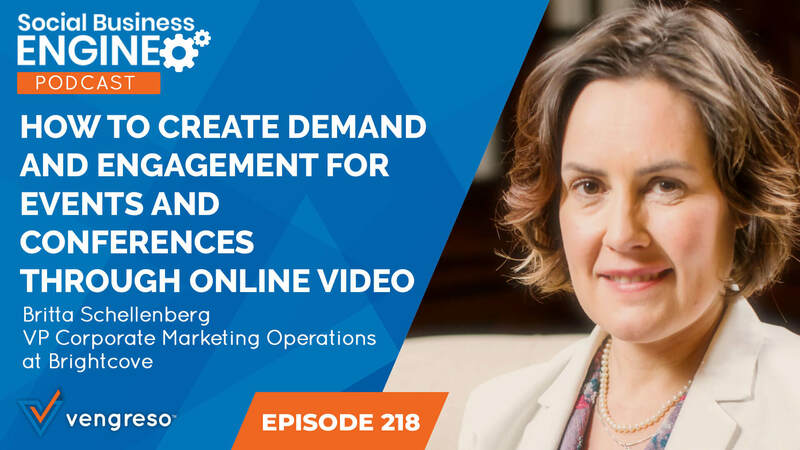 In this episode, Britta Schellenberg explains how any brand can become a media company, how salespeople and marketers can use video to tell stories and demonstrate solutions, and how online video can increase customer retention and even sales conversions. One of the most important questions brands should be asking and answering about their place in the busy online marketplace is this: “How can we differentiate ourselves?” It’s a question that can be answered and implemented in powerful ways using online video. And don’t forget about video when it comes to email. Click through rates for email are 12,000% higher when video is implemented in them, so it would be foolish to ignore this powerful tool in your marketing arsenal. In this conversation, Britta Schellenberg provides immense insight into how both B2B and B2C brands can use video effectively in their marketing and discusses how her company, Brightcove uses online video to promote Play, its annual conference for customers, partners and video creators. The power of an event is the in-person nature of it. Meeting people, learning things in a live environment, and the buzz and excitement of being there make it a special experience. You can use online video to capture and demonstrate some of those aspects of your next event in powerful ways. Britta explains how the Brightcove team uses online video in a “before, during, and after” approach with Play. They publish teasers of the event on social media, live stream conversations and happenings at the conference, and even provide the keynote session live on social media. In all their event-related efforts they are careful to use the event hashtag with every video – this year’s event hashtag was #Play2018. All of this and more is part of the Brightcove “Before, During, After” video strategy and it is very effective. Listen and learn how the Brightcove team makes use of video for their events, including digital session video as an added benefit to attendees and as a revenue generator for those unable to attend the event in person. Don’t be intimidated. Like anything, you’ll have to discover your own style and approach to using video, but it’s not as complicated as you may think. You also need to have clear goals. What are you trying to accomplish with your videos? Trust building? Promoting an event? Your goal should determine your approach, so don’t allow your efforts to be unfocused. Don’t try to copy massive brands. They may have millions of dollars to create the slick videos they do – and you likely don’t need that level of production anyway. Stay focused on your goals and work with what you have. What resources and personnel DO you have? Are there enthusiastic, well-spoken people on your team who would be natural on camera? Are there graphics professionals who could contribute? Do you have still images that could be compiled into slideshow-type videos? Video is the most popular form of content to consume, especially among executives. Britta’s insights into how to use video for event marketing are invaluable!